Here are some books that our ministry has written or compiled. They are in PDF form to enable you to print them off or read and study with on your computer. 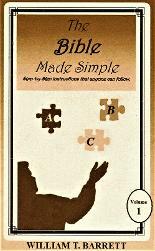 This booklet is an excellent aid for any Bible student, and will begin to open up the Bible to the reader’s understanding. It contains a list of figures used in the Bible along with their “spiritual” interpretations, rules for Biblical interpretation, charts, a list of Bible names with their meaning and more. 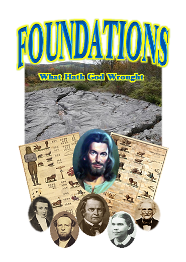 Explore into the foundations of Adventism and how God has led His people in the past. This booklet contains a collection of historical documentation focusing specifically on the life and times surrounding the 1843 and 1850 prophetic charts. 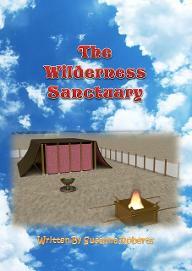 Introduce children to each of the features of the sanctuary in the wilderness. This illustrated book will help children discover the wonderful details of the sanctuary while learning more about its Designer. Here are some other books that we enjoy. They are in PDF form to enable you to read and study with on your computer. 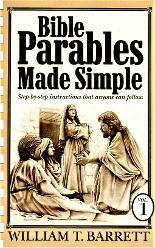 Single page list of key Bible doctrines and their respective texts. Designed to be printed (two per page) on a single page of self-adhesive "label" paper. Sticker can then be attached to the inside of Bible cover to be used as a "quick reference guide". These PDF files are scans of old Bibles that we have found while surfing the internet and we include them here collected into one place for our readers convenience. Many Thanks to those who first scanned and posted them online for the public's access. Hmmm, OK, so the files are too big (too many megabites) - my sitebuilder won't let me put them on here. To get around this, I'll just list them below. If you are interested in any of them, just e-mail me at biblepathways@hotmail.com and I'll send the files you request directly to you using WeTransfer or something. 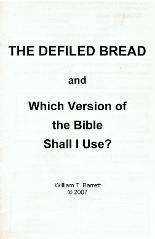 Put "Bible PDF" in the subject line and make sure to clearly state which Bible files you are requesting in the e-mail. The rest of the Romaunt Version that goes with the Gospel of John that I have. If any of you know where I can find these, I would greatly appreciate the info. I've been searching for them for several years now - found lots of historical references to them, but can't seem to find them. 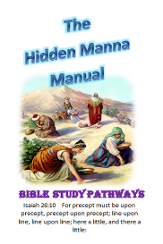 Bill was the first one to teach us how to find the "Hidden Manna" in the Word of God, by using the Bible to interpret itself! History of the Church in the Wilderness - the true Christian Church through the period of the Dark Ages - B.G.Wilkinson Ph.D.
A very strong argument in favor of the Received Text of the King James Version of the Holy Scriptures - B.G.Wilkinson Ph.D.